I have been revising an article on the problem of action at a temporal distance for publication and thinking again about karma. This has involved rehearsing my understanding of what karma represents and the internal conflicts that karma has caused in Buddhism. The last 2000 years have seen a constant stream of apologetics for different, mutually exclusive, traditional views on karma. There have been many attempts to reconcile karma with dependent arising, for example. More recently, attempts are being made to reconcile karma with naturalism, humanism, and other modernist worldviews. For 2000 years intellectuals have been tacitly admitting that there is something wrong with the doctrine of karma, with all of them treating it as a good idea that needs to be rescued. In this three-part essay, I take the opposite approach. I argue that that karma is a bad idea. Karma fails to explain what it is supposed to explain. Karma cannot be reconciled with or integrated into other worldviews, except as a floating signifier for whatever morality happens to be popular. Worse, it is based on a fundamentally flawed idea about suffering. It is the latter that is the premise of this essay. I begin with an overview of karma in terms of the just world fallacy and, in the process, highlight an aspect of the central problem: the idea that suffering can be deserved. Karma is the Buddhist myth of a just world. The just world myth is foundational in most religions. The myth says that everyone gets what they deserve, eventually. The final caveat has to be added because any observer of human life can see that few people, if any, get what they deserve in this life. Evil flourishes. Some argue that the world is getting better (Steven Pinker) or is at least not as bad as we think (Hans Rosling). But endless economic growth is a fantasy on a finite planet and even the status quo won't be sustainable if the climate becomes steadily warmer. And everything I've seen says that it will. The evident unfairness of life, or at least of most lives, has forced religieux to link the myth of the just world to another ubiquitous religious myth: the afterlife. Typically, the religious will admit that life is not fair, that there are many injustices and often no obvious way to tip the scales towards justice. How does one find justice for the thousands of sexually abused children or the millions of refugees? What can we possibly do to make those ruined lives un-ruined. We may ameliorate their suffering and we may make efforts to prevent future abuse, but some wrongs cannot be made right in retrospect. So the religious argues that justice will be found in the afterlife. My favourite image of afterlife justice is from the Egyptian Book of the Dead. I've quoted it many times so I won't dwell on it here - see the image below. 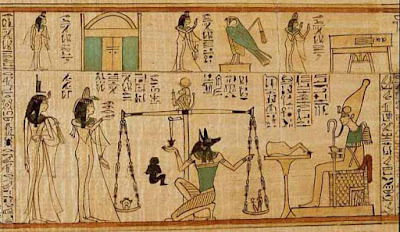 The key feature is that justice is literally represented as a set of scales, with the deceased's heart on one side and a symbol of the law on the other. I have also mentioned many times that George Lakoff has described how morality is very often framed as a bookkeeping or accounting exercise (balancing the books). More recently, using ideas from the work of primatologist Frans de Waal, I have tried to make the case for the evolution of morality from the basic competencies and exigencies of social lifestyles. Social mammals evolved to face natural selection as a group. A herd of impala allow the weakest members to be picked off by lions. A group of chimps, led by the alpha male, will band together to fight off a hungry leopard. In a fight between one leopard and one chimp, the leopard will win every time. But in the fight between one leopard and five or six determined male chimps (each three or four times as strong as an average human), the leopard stands little chance. There is still a chance that a chimp will be injured, but the male chimps share the risks amongst themselves and they share the benefits amongst the whole troop. Such efforts are coordinated by females in bonobos. The abilities needed to coordinate group actions and make the social lifestyle viable lead naturally to morality (ways of behaving) and ethics (principles for thinking about morality) in humans. Social living attunes individuals to reciprocity. You stand with me against the leopard and I have an obligation to stand with you. You share some food with me and I am obligated to share with you. You groom me and I groom you. Literally, you scratch my back and I'll scratch yours. Social living creates obligations to other group members. It usually also creates expectations of how each group member will behave and social mechanisms to reward and punish conformity and nonconformity. In both chimps and humans, this can be as crude as a beating or as subtle as a shared yawn. In addition, we have the capacity for empathy, if only at the level of emotional contagion: I know what other members of my group are feeling because I have the capacity to mirror external signals of disposition allowing me to model their emotions and thus to actually feel them. I know how you feel when we defeat the leopard. I know how you feel when you eat your favourite food. I know how you feel when you stub your toe. Your happiness is my happiness, your pain is my pain. And vice versa. So social animals are bound together by mutual awareness and concern, by mutual obligations and expectations and the mechanisms that grow up to police them. If we look at a society in terms of cybernetics, we can say that its members have evolved to be empathetic, cooperative, and generous and that each of these must be in positive feedback loops for groups (and therefore individuals) to survive. We must also evolve to be intolerant of individualism and selfishness. The present mania for individualism and selfishness is very strange and I can only conclude detrimental to our continued survival. Of course, we have to recognise outstanding contributions, but humanity only thrives when it works together. This way of looking at the social norms that give rise to morality comes under the heading of deontology. Our obligations to the group are defined by what is required for a social animal to survive and thrive. In turn, this defines what counts as a virtue: for example, the virtuous group member puts the group first, they behave in ways that are consistent with the survival of the group as a whole. Heroes put their lives on the line for others. Another way of looking at morality is to emphasise the consequences of actions; still, in order for this to be an accurate picture, it has to be framed in social terms. The consequences for one's group are most obviously what make an individual action a question of morality. Consequentialism cannot be defined in the abstract, but must take into account the obligations and expectations of the group, and the consequences for everyone concerned. Therefore, although virtue ethics and consequentialism are useful ways of approaching morality, deontology is what makes sense of them. Particularism argues that there are no ethical principles and that actions each have to be assessed individually, but again this is done with respect to norms that emerge from social obligations and expectations. It can be useful to talk about morality in different ways, but if we want to understand how morality evolved and how it functions in real societies then deontology is the place to start. It is a measure of humanity's alienation from its own nature that we often place oppressive or even intolerable burdens of obligation and expectation on members: untouchability in India, foot-binding in China, genital mutilation in Africa, class in Britain, modern slavery, and so on. Social systems that are oppressive to their members weaken the long-term viability of any society because social animals always resist unfairness and injustice. Fairness is when everyone reciprocates at the appropriate level. And this may involve some hierarchical adjustments. In chimps, the alpha male has a much higher level of obligation to the group. It's a tough job because one has to intervene in all the conflicts, console all the injured parties, lead the charge on all the leopards, and so on. In most cases the alpha has a coalition of supporters to whom he has more obligation. He must groom them more, without neglecting the rest of the group. He shares his mates, his food, and intervenes in their conflicts. A selfish alpha cannot and does not last long. Again, this raises many questions about the modern world. With great power or wealth comes great obligation to society and in this light, I think we can guess which class of people make the strongest arguments for individual liberty. I've argued that social animals must tilt towards generosity. This is because reciprocity is a feedback loop. If I am generous, you will respond by giving. If I withhold, then you will withhold. Reciprocity can only work if each member of the group has a preference for giving over withholding, however slight. Frans de Waal is critical of what he calls "veneer theories of morality", i.e., those views in which morality is an overlay of civility on a fundamentally selfish personality. Not only is this not the case, but it cannot be the case. A selfish social animal is an oxymoron because of social feedback. In evolutionary terms, a species of selfish individuals would simply die out because they need each other to help them survive. Fundamentally, all social mammals are by definition generous, extinct, or rapidly becoming extinct. Social mammals have individual needs and are capable of selfishness, but they are adapted by evolution to place the needs of the group ahead of their own by some margin, however small. In the past, I've used John Searle's ideas about background capabilities to argue that such behaviour is not simple rule following. As we grow and absorb the conventions of our group, we develop dispositions that limit our behaviour so that it falls within the norms of the group most of the time. As a group we have ways of dealing with people who stray: from gentle reminders to summary execution and everything in between. This is a very important point that I will return to. The idea of justice emerges naturally from the idea of fairness. Justice is the process of responding to unfairness with an attempt to restore the harmony of the group. One of Frans de Waal's most famous experiments involves researchers treating two capuchin monkeys unfairly. The monkeys instantly recognise the unfairness and respond unequivocally. When both are rewarded with cucumber they will perform a simple task indefinitely. But the first time that one gets a grape and the other is still offered cucumber, the other gets angry and flings the cucumber back at the researcher. A second ago the monkey was happy to perform the task for cucumber, now it will forgo any reward rather than accept an unfair situation. De Waal shows a video of this during a TED talk and the audience of several hundred people erupt into spontaneous laughter when the monkey throws a tantrum over unfairness. The emotional resonance is instantaneous and universal. We all know that feeling and what's more, we are on the side of the cucumber monkey. Even though throwing things at someone is a violent act, our sympathies are with the monkey treated unfairly and we instantly know that pelting the researcher with cucumber is fair enough (and possibly good). We don't have to sit and work through the implications. We have an unequivocal emotional response to seeing unfairness. This is a very important insight. When there is unfairness or injustice, then a contract is broken (the idea of a social contract is associated with Jean-Jacques Rousseau but in reality is very much older). It is not that reciprocity stops. What happens is that when the monkey perceives that their reward is unfair, the reciprocity principle opens the door to behaviour that in any other context would be considered unfair. For example, if the monkey were just in a bad mood and throwing food at the researcher with no obvious motivation, we would not sympathise with it. If we perceived a consistent attempt to harm the researcher then something would flip and our sympathies would be with the researcher. We know unfairness. But the important point is that we empathise with a monkey who clearly also recognises unfairness and acts in ways that are situationally appropriate. We know how that monkey feels and we tolerate its bad behaviour in this situation because the researcher started it. In accounting terms, we frame reciprocity as a debt. Good behaviour creates a debt that has to be repaid in good behaviour; while bad behaviour creates a debt that can be repaid in bad behaviour that would not otherwise be tolerated. Paying one monkey a higher reward for the same task is unfair and as soon as we perceive this we are willing to tolerate inflicting harm on the researcher. They have earned their punishment. This "earning" of punishment and/or suffering is close to the key question I am concerned with, i.e., "How is suffering earned?" For most of human history and in most cultures, killing a member of your social group is seen as wrong. In evolutionary terms, you weaken the group and reduce the survival chances of everyone. And in most societies, most of the time, the debt of a life had to be repaid by a life. Murderers have been routinely put to death. We cannot tolerate a group member who is willing to kill one of us. And note that by killing a murderer we further reduce our numbers and weaken ourselves, but the consensus is that this is the lesser of two evils. Murder within a group irreparably breaks the social contract. But note that killing an outgroup member, such as a slave or an enemy, does not have the same weight. In those (many) societies which kept slaves, killing one of them was never on the same level as killing a member of society. In fact, slaves were treated like livestock and reparations reflected this. Even more striking, a soldier returning from battles with an enemy of the group is praised in proportion to the number of enemies he has killed. In trying to improve public perception of the deeply unpopular and incomprehensible Vietnam War, efficiency guru Alain Enthoven used the "body count" as a measure of how well the war was going. Despite not winning in any conventional sense such as occupying new territory, gaining access to new sources of wealth, or neutralising an enemy (China, in this case), the Americans were able to tout the number of dead Vietnamese as a measure of success. Thinking about this is nauseating, but even now we still report numbers of casualties as a measure of the "success" of war and a measure of the severity of a natural disaster or accident. To say that killing is immoral is to vastly over simplify things. In most human societies, placing all killing on the same level would be seen as irrational. In one case we may create a debt that can only be repaid with our own death. In another the more people we kill, the more our group owe a debt to us. 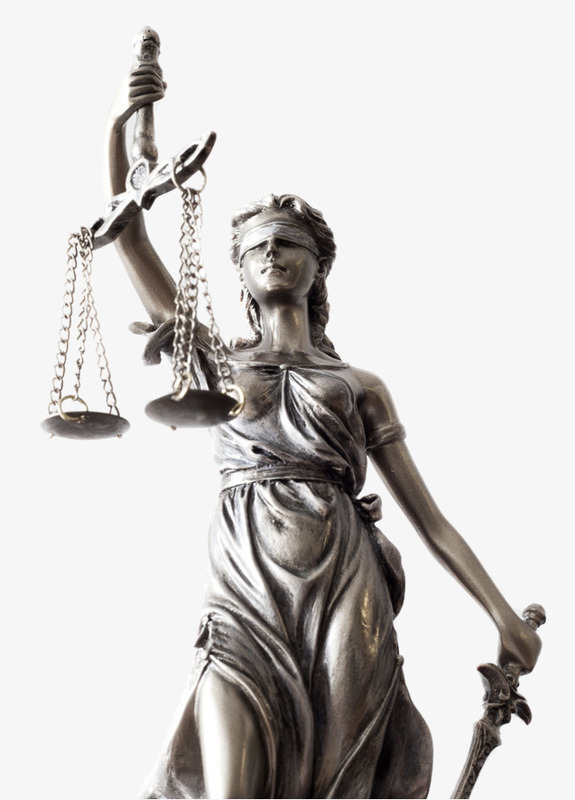 Both represent justice according to the norms of most modern societies. Often the same people clamour for civilian murderers to be killed as argue that we should show more gratitude to soldiers who murder our enemies. There is no contradiction in this precisely because those people do not value all human lives equally. When it comes down to it, this is the way all social primates think. As humans we can conceive of an ideal in which all human lives have equal value and some individuals do seem to embody this idea. But this idea has never taken hold in a more general way even, and this is important, even in nominally Buddhist societies. So morality is always defined with respect to a group; with respect to my group. People are not equal and the fundamental split we all have is ingroup/outgroup in which very different obligations and expectations may apply. Killing might be the very worst and the very best thing one can do. It emerges from this that we consider some people to have earned their suffering. Having set the scene, I will to return to karma in the next part and burrow deeper into the presuppositions which underpin the just world fallacy. Frans de Waal's 2011 TED Talk. Do Animals Have Morals? (For much more detail see his book the The bonobo and the Atheist). George Lakoff's 1995 essay Metaphor, Morality, and Politics, Or, Why Conservatives Have Left Liberals In the Dust.